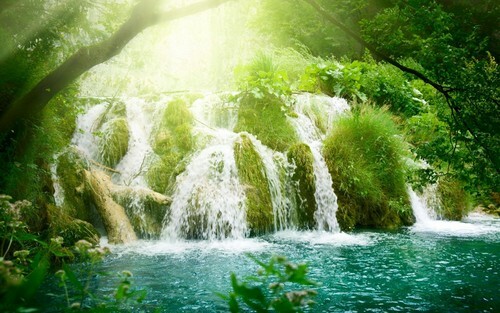 Waterfall landscape. . HD Wallpaper and background images in the Earth planet club tagged: photo. This Earth planet photo contains fuente. There might also be agujero de la gloria, lazareto, and agujero de gloria.